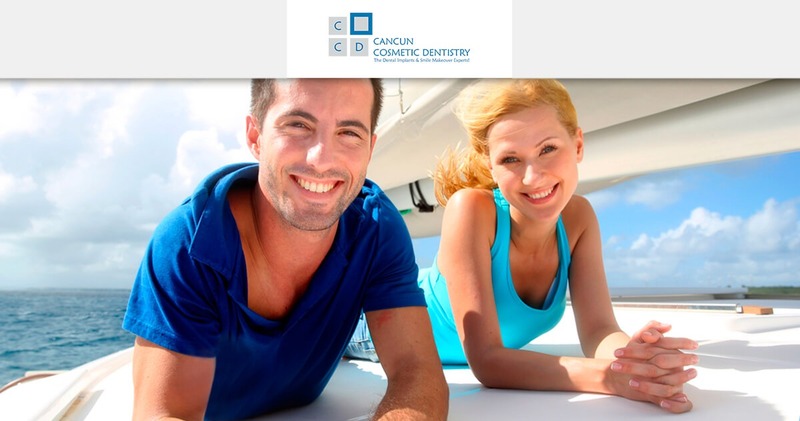 You are here: Home / Blog / Cosmetic Dentistry / Discover how dental tourism in Cancun is changing the world! Today I have a story about a denture. Where are you from Amber? I have to say, if anyone has any hesitation, please, please, do yourself a favor don’t hestitate, dental tourism is great. Everyone from the Stated and Canada come here. It’s worth it because there are solutions here that you cannot always find at home… and the price, the price is the best thing. You cannot say no to Cancun! Tell me a little bit about the price now that you mention it. What were the solutions that they give back home? I would say, EASILY, it was triple. Triple! It could even be cuadruple because I come from New York so it depends where you are from in the States, but easily triple. And I never thought that, Number One, there was the technology to help me. I thought I would always be stuck with this denture. That’s number one. Number Two, I thought I could never afford it… and I was able to afford it! And why not? Totally believe in dental tourism in Cancun and with Doctor German. Thank you! Thanks Amber! Thanks! If you’re watching this please don’t hesitate to contact us, there’s always a solution and bye bye to removable prosthesis, dentures, messy glues and all that, Snap in Dentures could be your option. Thank you for watching, I’m Doctor Arzate in sunny Cancun! Thanks Amber! Bye!